Out for a walk today along the Worcester and Birmingham Canal, near Tardebigge, and I thought I’d try a little experimentation – just trying something different. 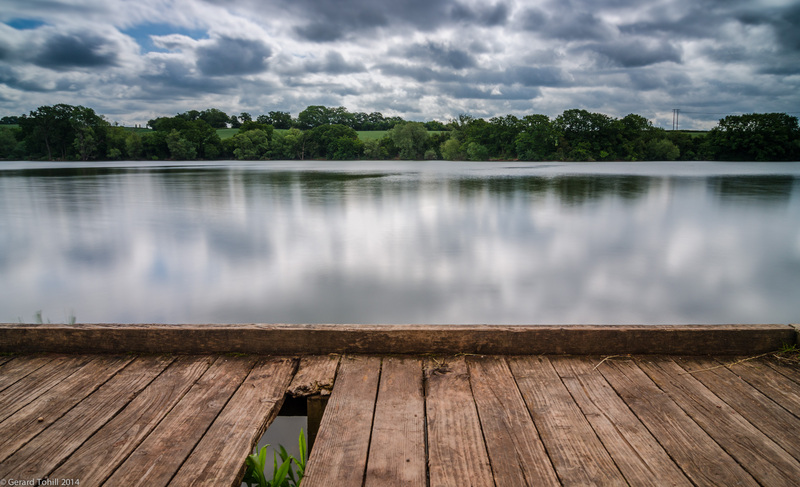 I saw the little jetty on the Tardebigge reservoir, and realised that it could help break the frame down into three equal parts, using the trees on the far shore and the sky as the third. Tripod was duly set up and filters applied – long exposure seemed to work best. Only a minimal amount of cropping was required to divide the frame as I required. Photography stuff: 12-24mm lens at 14mm, 8 seconds at f/8, 2 stop hard graduated ND to hold back the sky, 10 stop ND filter to give the long exposure, tripod. A great result! Many thanks for the instructions and settings. Very helpful. Thank you very much – and you are welcome. A very striking image. The 1/3rds worked well here. The added break in the walkway added significantly to the image. Thank you. I’ve actually stood on that spot many times – but it was only today I worked out that I could photograph it in this way.